That is not accurate. If we have a winter like '82 or '97 every reservoir will be full and still dumping great volumes of water. Hmmm...perhaps I'm passing along bad info (albeit from meteorologists), I appreciate the alternative thoughts. I should point out though that the reservoirs being full does not necessarily mean the drought is over. The reservoirs could be bursting which would be great for all of us, but wouldn't mean there isn't a drought. This is entirely plausible if the winter is warm and produces heavy rain, but below average snow pack. cefire wrote: Hmmm...perhaps I'm passing along bad info (albeit from meteorologists), I appreciate the alternative thoughts. Those of us who lived here during those years have seen the state go from severe drought, i.e. the reservoirs all empty, to not just full reservoirs but massive flooding in widespread areas of the state. As a recent import, I appreciate the info! 82 or 97. Am I missing something here. Why does no one mention 2010. I think it was 2010. Cross Country wrote: 82 or 97. Am I missing something here. Why does no one mention 2010. I think it was 2010. Thank you because I like that kind of info and I did not know that. As a long time resident, I also recall several times where media and meteorologists claim it would take 10 years of above average precipitation to relieve us from the current drought only to have that very winter dump enough that the word drought drops from the conversation. The March Miracle of 1990 comes to mind. It is quite typical that when drought conditions break, we tend to get several years of average to above average rainfall based on a 3 year moving average. Hopefully, there will be a break in the current cycle and we can start talking about what we're going to do based on all of the snow. Jimr wrote: As a long time resident, I also recall several times where media and meteorologists claim it would take 10 years of above average precipitation to relieve us from the current drought only to have that very winter dump enough that the word drought drops from the conversation. I remember when they finished the dam at Lake Sonoma around New Year's of '97. In the local papers, meteorologists proclaimed that no matter what kind of winters we had, it would take an absolute minimum of 12 years for the thing to fill. About 10 days later, the thing was full and overflowing the emergency flood gates at great volume. "It never rains in Cal...if...or...nia, but girl don't they warn ya? It pours....man it pours." 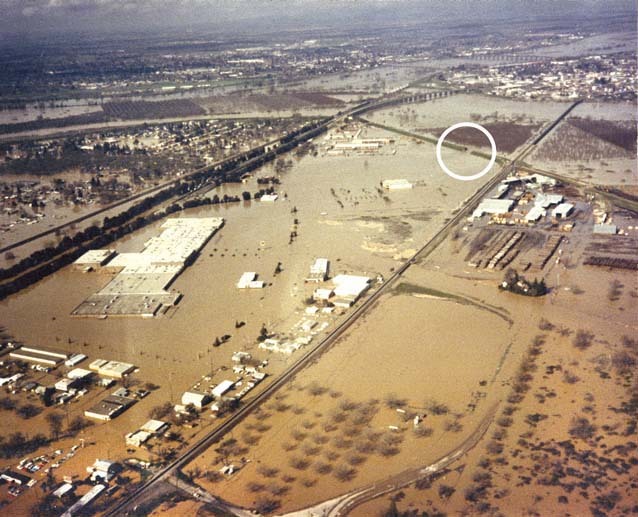 The New Years flood of 97 was a rain on snow event. We had a series of relatively cold storms in November and December, leaving an above average snow pack down to low elevations. Then a warm tropical storm hit around 12/31 sending not only the warm rain, but all the melted snow, downhill. Locally it was determined after the fact, when all the data became available, to be a 70 year event. IIRC, the snow pack never really recovered after that.